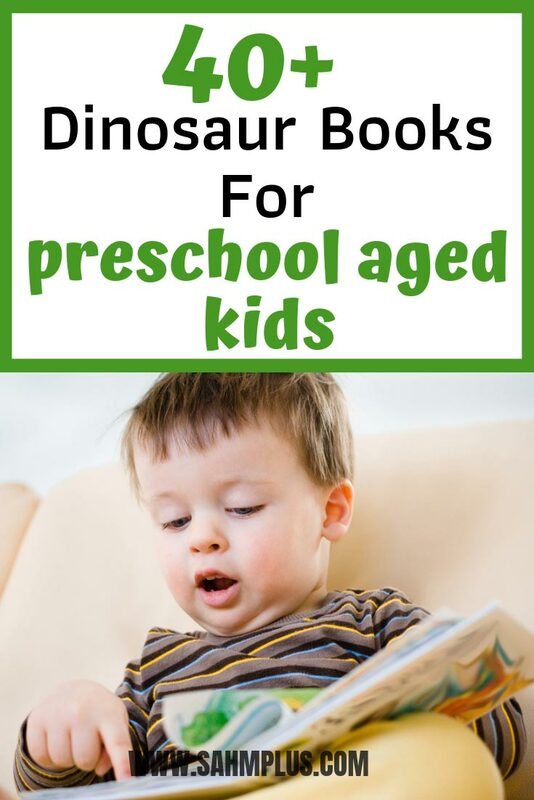 35 dinosaur books for preschool aged kids they’ll be dying to read again and again. Dinosaurs are a hot topic among little ones. 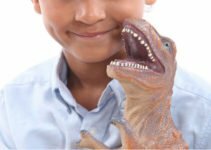 From toddler-hood to about Kindergarten age, you may find your little one obsessed with dinosaurs. If your kids are anything like mine were, you probably have loads of dinosaur toys strewn about the house. My kids have even loved reading as many books with (and about) dinosaurs as they could get their hands on. 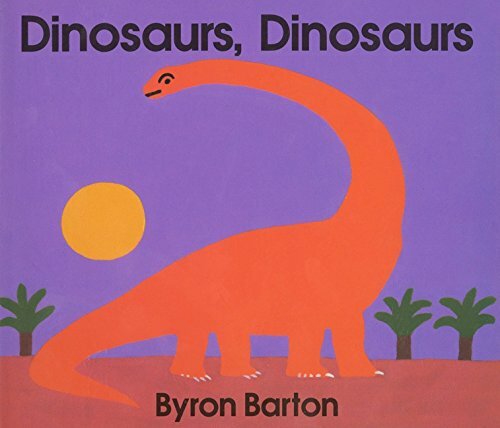 Check out these dinosaur books for preschool aged kids. 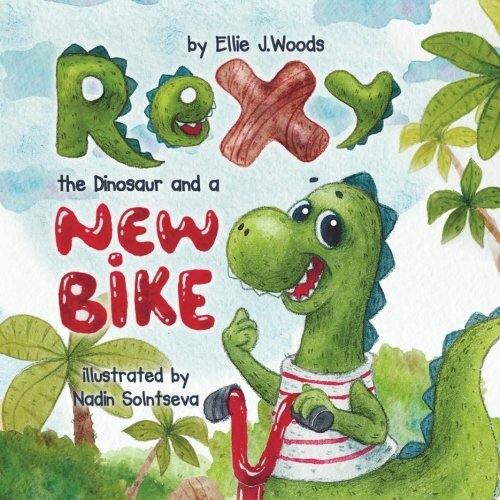 Rexy the Dinosaur and a New Bike is a terrific story that highlights the value of sharing. Tell it in front of a class or read it as a nice bedtime story to your children. 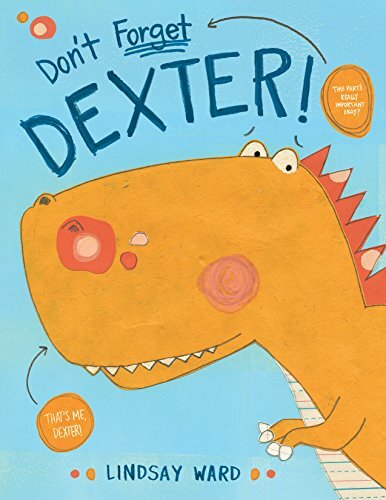 This hilariously neurotic dinosaur will do whatever it takes to get his friend back—even asking the reader’s advice. Rexy is still young dino with much to learn about life. He does not believe in brushing his teeth and not even his loving mother and father can change his mind. The mystery of dinosaur extinction is solved! Scientists have plenty of theories about why dinosaurs are extinct. 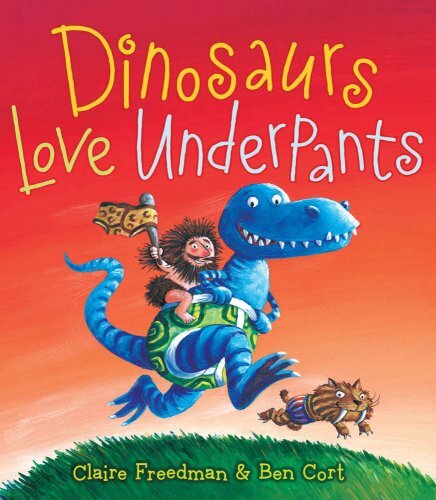 But in Dinosaurs Love Underpants, the real answer is the dinos were wiped out in an Underpants War! Little Critter’s class is going to the Critterville Museum of Natural History, and everyone is excited. 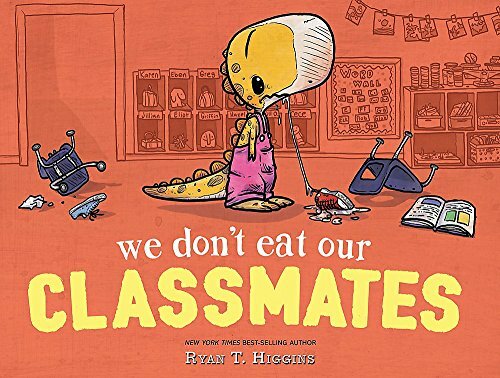 But when the class arrives, they find out the dinosaur exhibit is closed because of a missing Triceratops bone. 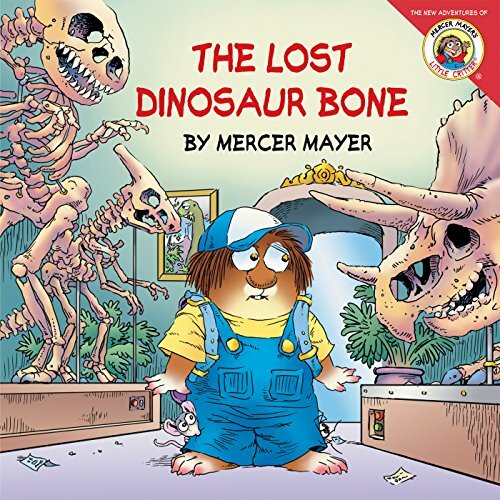 Join Little Critter as he searches the Hall of Gems and Minerals, climbs the trees in the rain forest, and sneaks around the Planetarium—all to solve the mystery of the lost dinosaur bone. In Dinosaurs, bright, graphic illustrations feature friendly dinosaurs doing what they do best — running, swinging tails, and munching leaves. 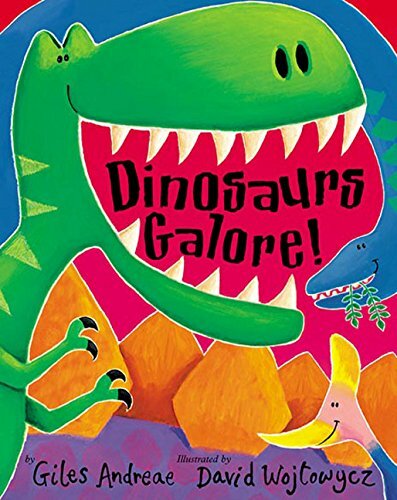 You’ll find five of the most recognizable dinosaurs lurking on the pages: Brachiosaurus, Stegosaurus, Triceratops, Tyrannosaurus Rex, and Velociraptor. No scary dinos here, though. Each and every one is certified preschooler-friendly. 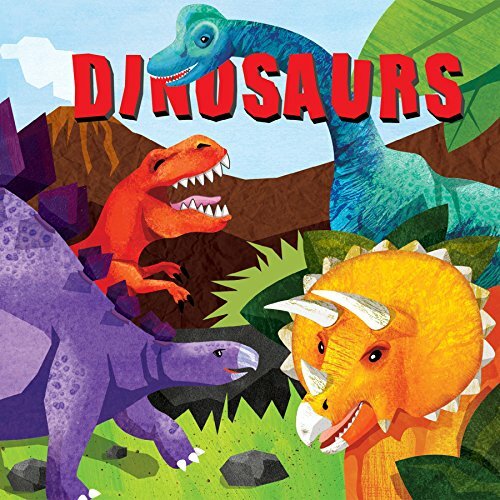 Designed especially for preschoolers, Dinosaurs is packed with adventures of prehistoric proportions. Pete lives happily among the dinosaurs. He’s friends with everyone. 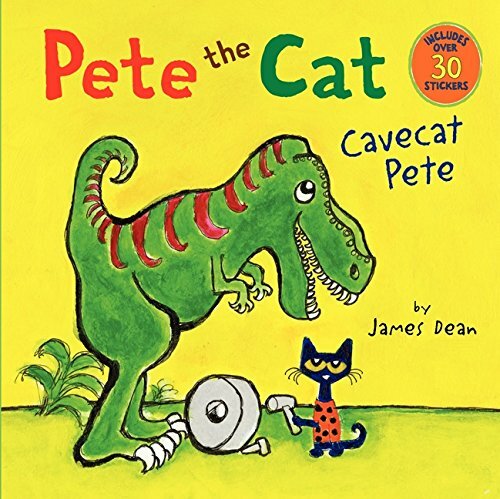 But when Pete organizes a picnic with all his friends and some herbivores and carnivores can’t seem to get along, it’s up to Cavecat Pete to show them that they can all have fun together. Fans of Pete the Cat will enjoy going back in time with Pete. Complete with over 30 stickers! 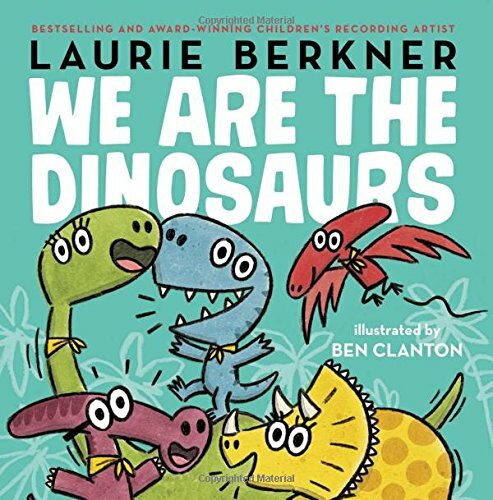 Laurie Berkner, “the queen of children’s music,” (People) pairs the lyrics of her beloved hit with Ben Clanton’s whimsical illustrations in this winning, adorable picture book—a must-have for fans of Laurie, dinosaurs, and all things cute. These scampish dinosaurs make the trip to school, hidden in a kid’s backpack. 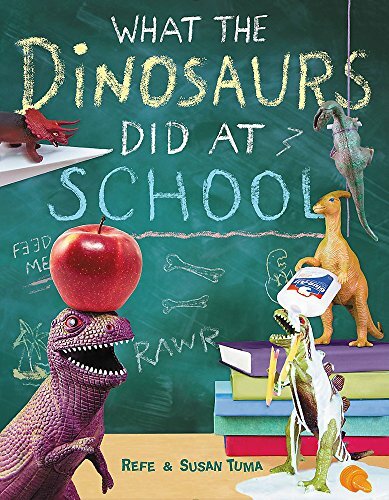 Each scene is photographed in meticulous detail, letting viewers joyfully suspend disbelief and think to themselves–just LOOK at what these diminutive dinos did at school! 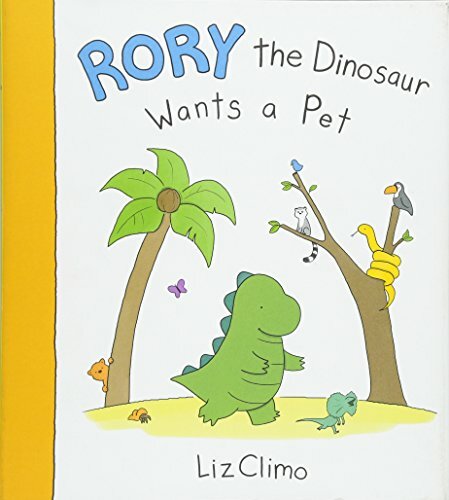 When Rory meets his friend Sheldon’s pet crab, he realizes he wants a pet of his own. He searches high and low–from tree tops to sand pits–for a creature to love. It’s at the end of a long day, when Rory least expects it, that he meets George. Travel to the past to meet and greet the dinosaurs and learn about what they do first thing in the morning. Meet Stegosaurus, Pterodactyl and more! Even Tyrannosaurus Rex has his own secret morning routine. 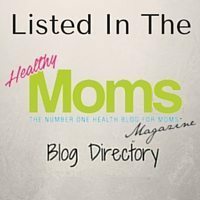 Teaching your little ones about morning routines can be as easy as reading this book! When Brother and Sister visit the Bearsonian Museum, they luck out. A real dinosaur dig is taking place! What sort of fossils will they find? A Stegosaurus? A Spinosaurus? The mighty Tyrannosaurus rex? 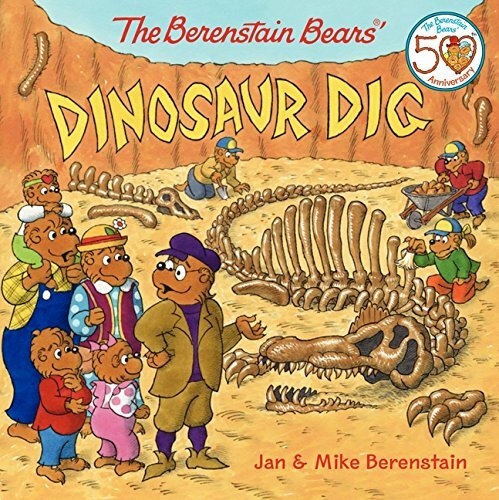 There’s nothing like having a good old fashioned story to foster a child’s imagination about dinosaurs and dinosaur digs. 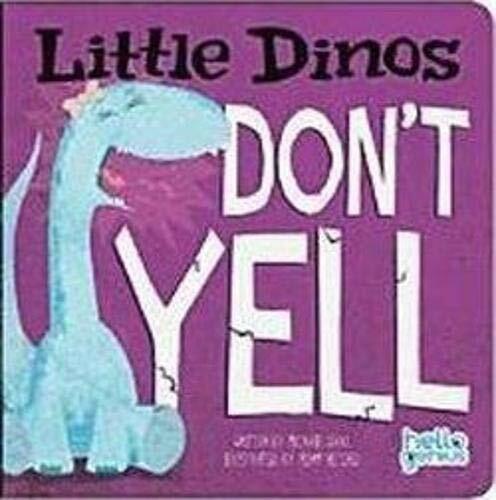 Little Dino has a loud roar. Sometimes it’s amazing and astounding, but sometimes it’s just too much. She must learn that yelling all the time is not okay. To me, there’s no better way to introduce toddlers important subjects, like manners, than through books that appeal to their personal interests. 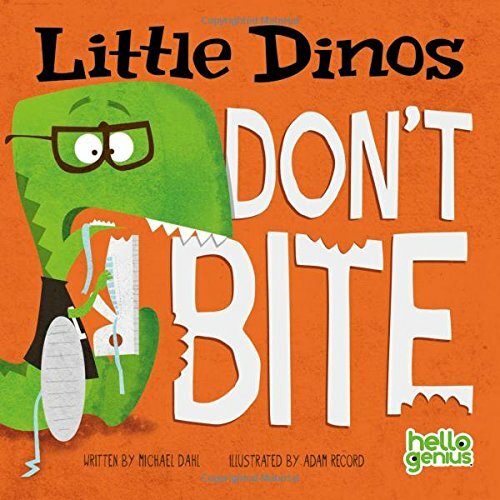 Little Dino has lots of sharp teeth and starts using them to bite objects and other dinosaurs. He must learn to use them in the right way. This book is great if your toddler goes through a biting phase. 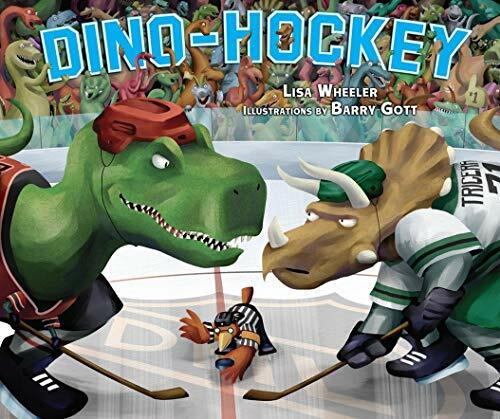 In an ice-hockey match unrivalled in prehistory, this is the tale of the Meat-Eaters taking on the Veggiesaurs. By sorting teams into carnivores and herbivores the author sneaks in a science lesson in this amusing pairing of sport and prehistoric beasts. 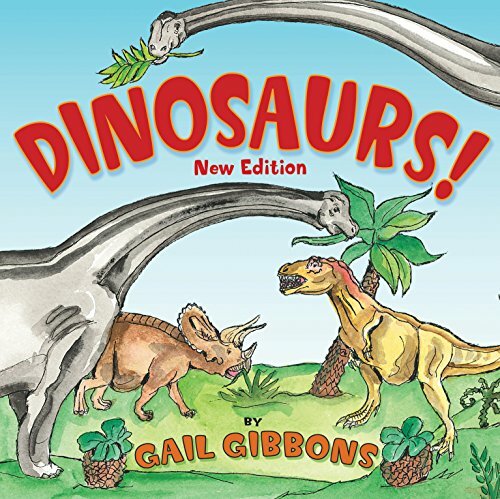 Gail Gibbons presents the most recent and up-to-date theories about the history of dinosaurs and dinosaur discoveries. She discusses the Triassic, Jurassic, and Cretaceous periods and the non-bird dinosaurs that lived during each time. 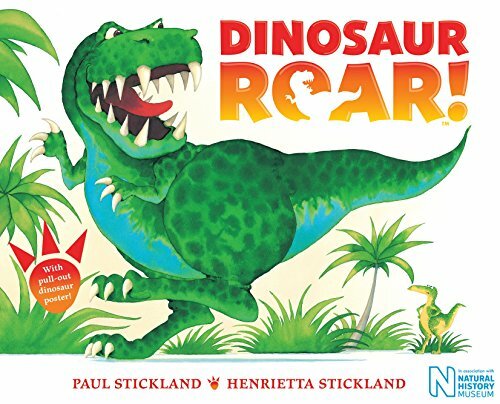 Each dinosaur is explored in just the right amount of detail for young paleontologists, as this book brings these magnificent creatures to life again. 20. 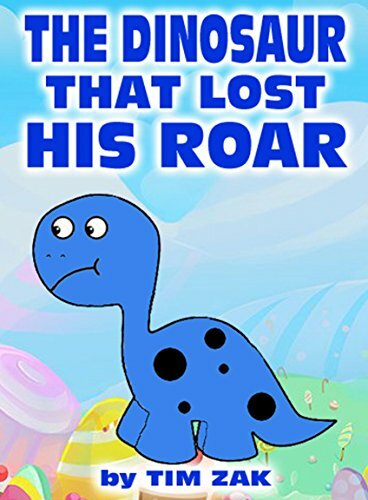 Children’s Books: THE DINOSAUR THAT LOST HIS ROAR Rhyming Bedtime Story about Dylan the Dinosaur! This is the rhyming story of Dylan the dinosaur that lived in Dino Land! Dylan awoke one day to discover that he had lost his mighty roar! Where could his roar be? How could Dylan have lost his roar? On the adventure to find his missing roar, Dylan gets help from his sister, some cavemen, some other dinosaurs, and even encounters a mean T-REX! Will Dylan ever find his roar again? 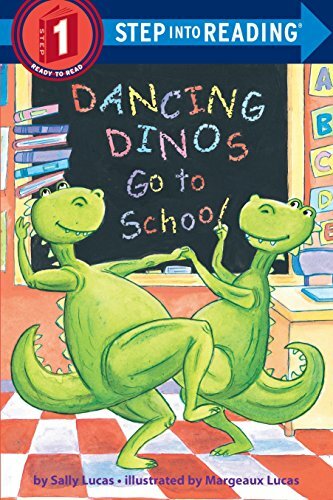 Dinos dancing in a book. Dinos leaping, look, look, look! Dinos pasting red and blue. Dinos wasting paint and glue! 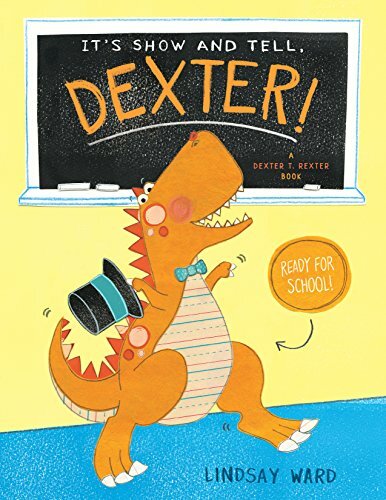 The dancing dinos are back, and this time, when their book turns up in a school library, they leap out and bring their musical mayhem to a kid’s classroom. 22. 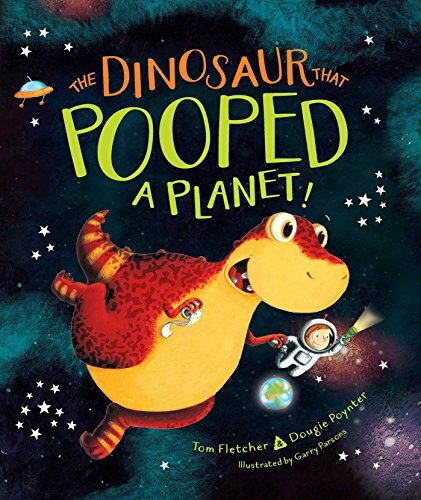 The Dinosaur That Pooped a Planet! One boy, one space rocket, one very hungry dinosaur: the ingredients for an explosive space adventure of epic poop-portions! But when Danny realizes he’s forgotten Dino’s lunch box, the very hungry dinosaur eats everything in sight, including their only way home: the rocket! How will Dino get them back home? 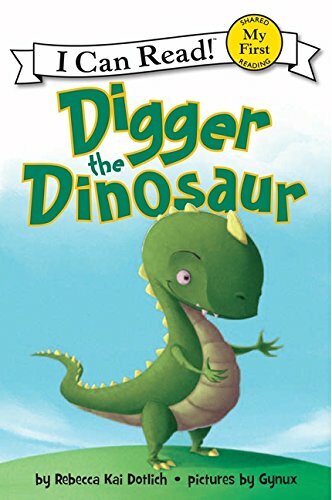 In Digger the Dinosaur, Digger wants to play baseball with his friends. But he isn’t allowed to go out until he’s cleaned his room. Digger starts cleaning at top speed, but the faster he moves the messier his room gets. His big tail and big feet aren’t helping! Will Digger win the race to tidy his room and get to the game on time? Imagine what you would do if you found a dinosaur in your own garden? Find out what happens when Bradley is sent into his garden by his Mum to find flowers, only to find the biggest creature he’s ever seen! Travel far away, have an amazing adventure, but be back in time for dinner! This rhyming story for growing imaginations pops off the page with beautiful vibrant illustrations by an acclaimed illustrator. A little girl is shopping in a grocery store when—surprise!—she meets a dinosaur. Don’t worry. The dinosaur is very friendly. She’s polite, too. 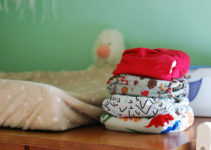 In this funny story, told in lilting read-aloud rhyme, the girl has numerous opportunities to be helpful to the clumsy shopping dino and demonstrate when to say “thank you,” “excuse me,” “I’m sorry,” “You’re welcome,” and other niceties of life. 26. 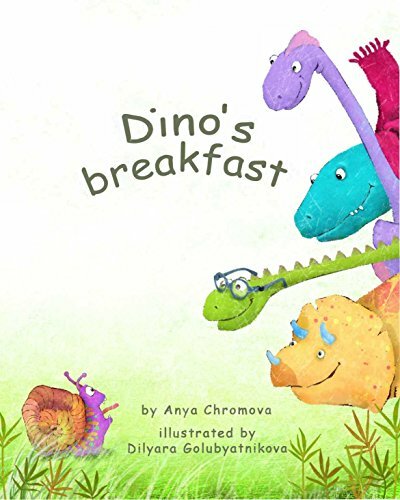 Dino’s Breakfast – Did You Ever Try to Say the Names of the Dinosaurs Fast and Clear? Did you ever try to say the names of the dinosaurs fast and clear? We did and laughed a lot. Mom of the four little dinos from this funny and playful poem has to do it every morning and every evening. Could you help her? 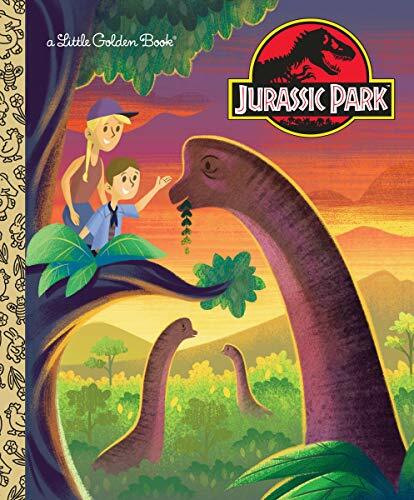 Now, the movie’s youngest fans and dinosaur enthusiasts can relive the movie in this fun, action-packed–and age-appropriate–Little Golden Book adaptation of Jurassic Park! 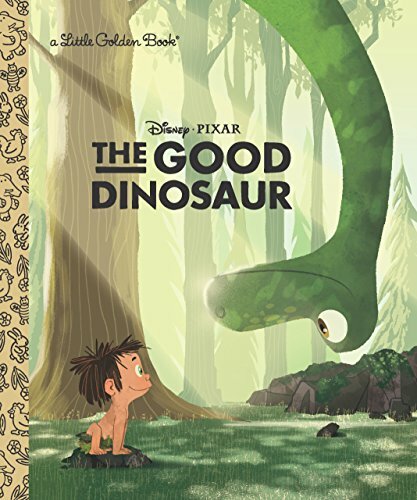 Children will love this Little Golden Book retelling of the film, The Good Dinosaur. 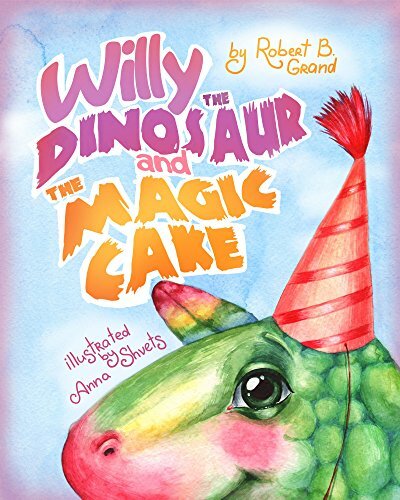 “Willy the Dinosaur & the Magic Cake” is a cute bedtime story for little kids about a dinosaur who learns that sharing is caring. Written in simple, easy-to-understand language. 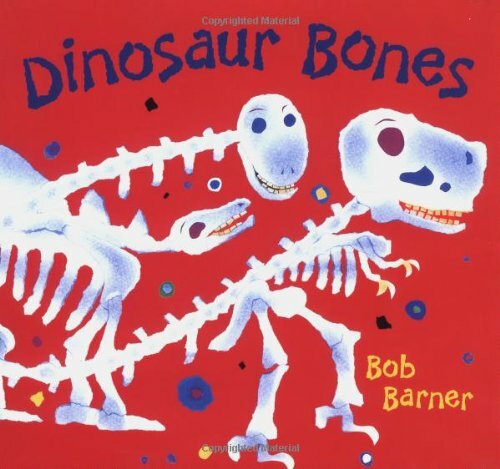 With a lively rhyming text and vibrant paper collage illustrations, author-artist Bob Barner shakes the dust off the dinosaur bones found in museums and reminds us that they once belonged to living, breathing creatures. Filled with fun dinosaur facts (a T. Rex skull can weigh up to 750 pounds!) and an informational “Dinometer,” Dinosaur Bones is sure to make young dinosaur enthusiasts roar with delight. Your kids will get a glimpse into belonging, friendship, anticipation and first-day jitters, with advice to help along the way. 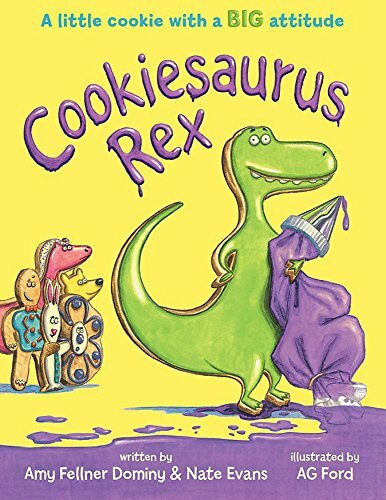 As soon as Cookiesaurus Rex comes out of the oven, he declares that he is King of All Cookies. He should be frosted before all of the standard-shaped cookies, in a nice bright green. But the other cookies are getting sprinkles, or shiny stars, or even gumdrops . . . WAIT ONE STINKIN’ STOMPIN’ MINUTE! Cookiesaurus wants a do-over. Problem is, he might not end up with the kind of “do” he wants. What kind of words make up Buddy the T. rex’s world? 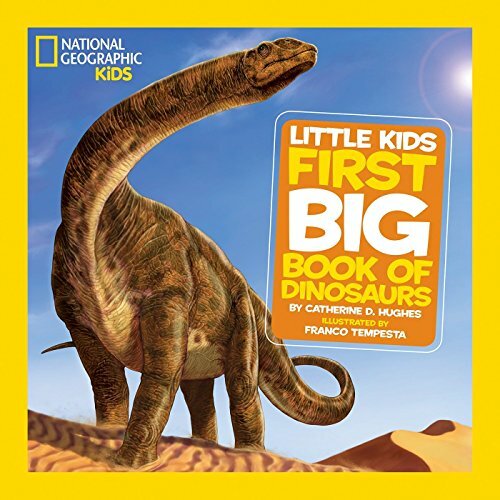 Find out in this book of first words that takes readers on a tour of the prehistoric era! They will learn dinosaur names like “T. 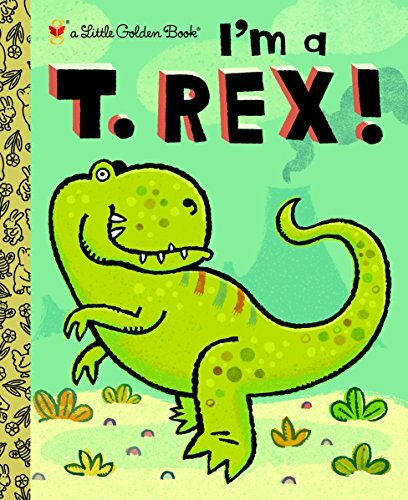 rex” and “Triceratops,” words related to dinosaurs like “herbivore” and “omnivore,” plus words related to trains such as “conductor,” and much more! WHOMP! 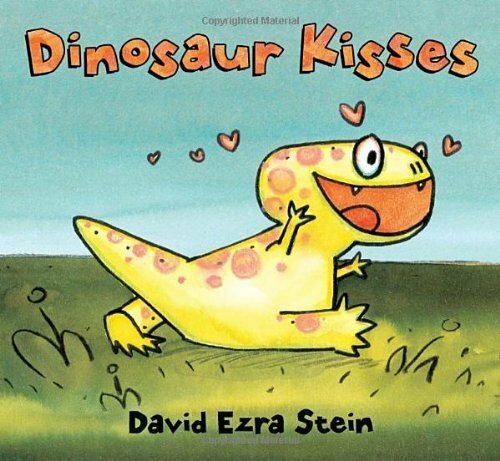 An energetic young dinosaur figures out her own way to give a kiss. All Aboard! 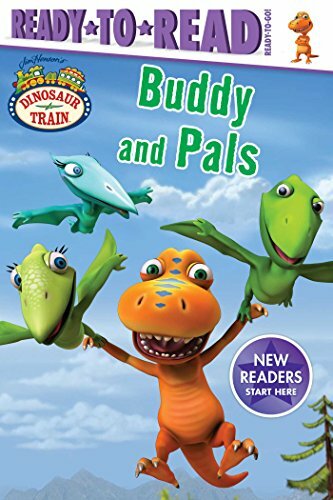 Get to know Buddy the T. rex and his adoptive Pteranodon family as they live and learn in the Mesozoic Era in this Ready-to-Go! Ready-to-Read. 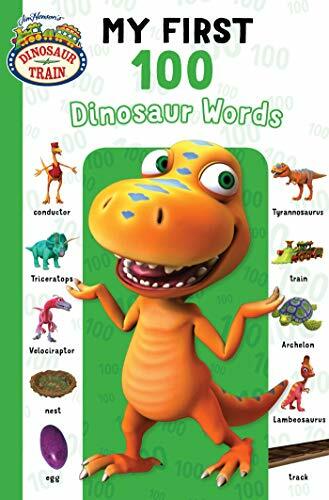 This book is the perfect one for little kids who know their ABCs and are ready to begin reading along to their favorite characters from Dinosaur Train. Six paleontologists search for bones. When they find them, they dig them up, wrap them, and load them on a truck, bound for the museum. 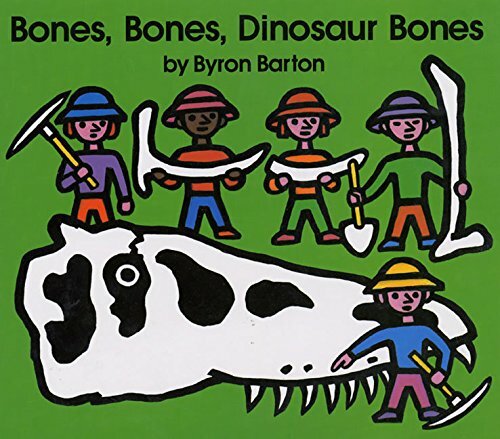 With simple text and vibrant illustrations, young readers explore the process of finding and assembling bone fossils. 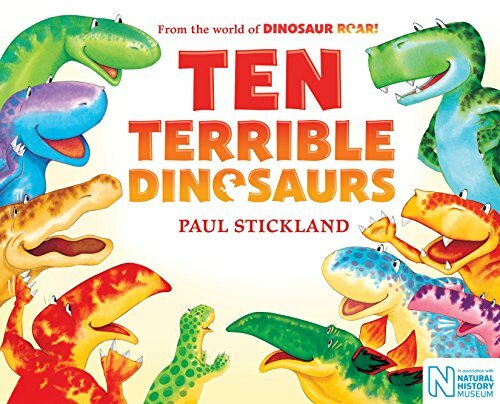 The perfect way to introduce children to the fascinating world of dinosaurs. 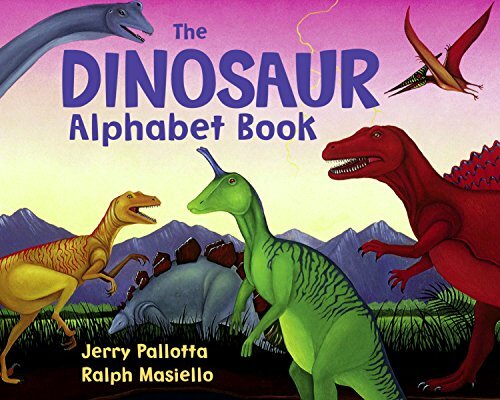 This alphabet book explores both the known and the not-so-well known dinosaurs. One by one the dinosaurs leave the scene. 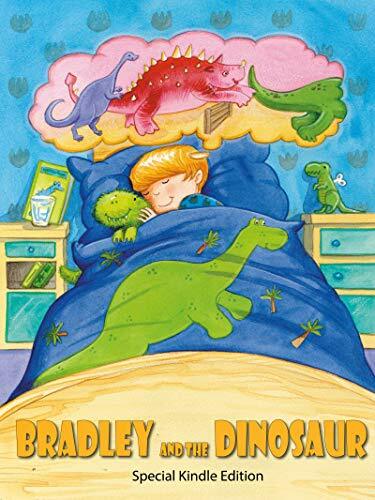 Children count down along with the text until there is only one sleepy dinosaur left. While a short book, this vibrantly painted book illustrates two dinosaurs on each spread to introduce opposites. 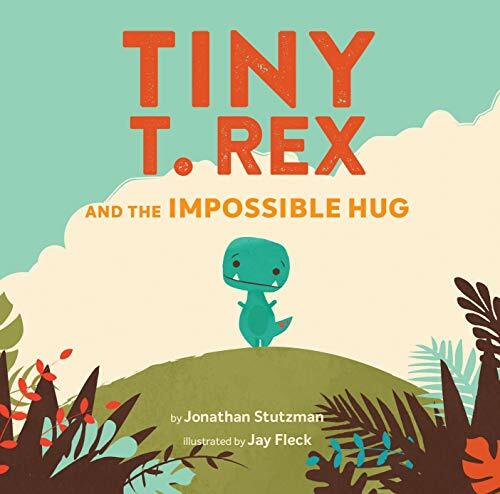 A lyrical picture book takes readers to the prehistoric era where dinosaurs roamed the earth. 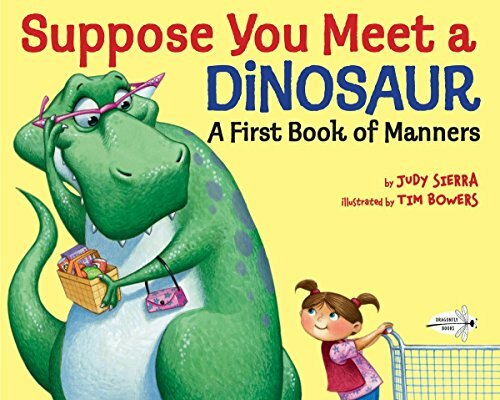 12 dinosaurs introduce themselves in funny, rhyming verses. 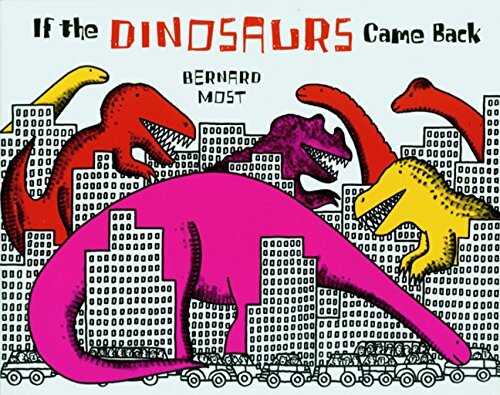 In this delightful book, a small boy imagines a world where dinosaurs perform public services. 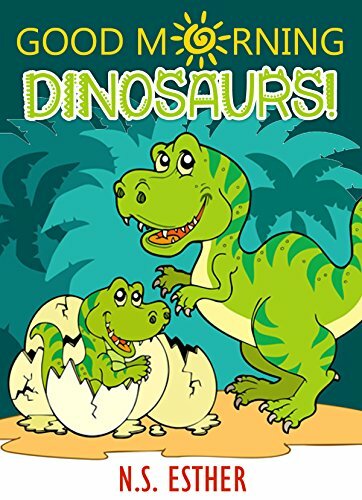 This book will give your kids the opportunity to decide what would happen in various instances if dinosaurs came back. 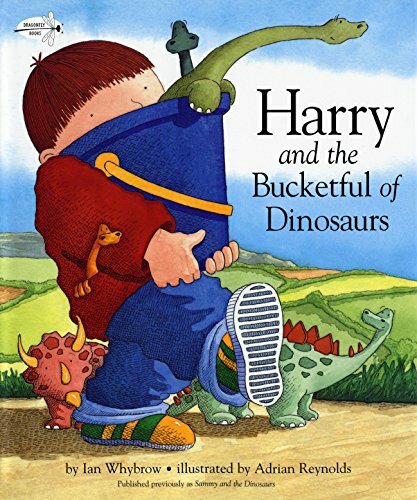 Harry finds some old dinosaurs in his Grandma’s attic. He cleans them up and makes them his own, carefully (and accurately) naming each one. Harry and his dinosaurs go everywhere together. 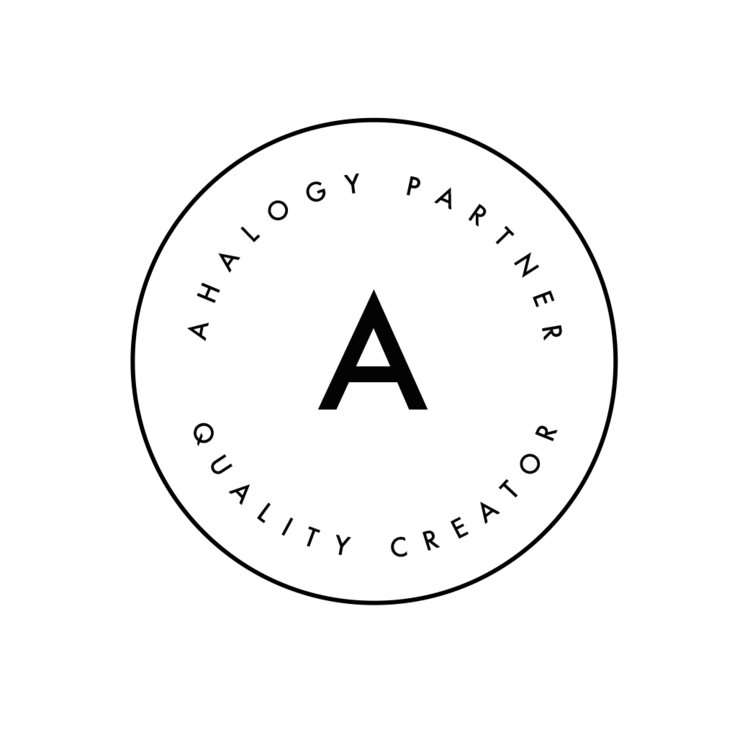 Your kids will more than likely relate to the idea of finding a treasure forgotten by a family member. Shake, shake, shudder … near the sludgy old swamp. The dinosaurs are coming. 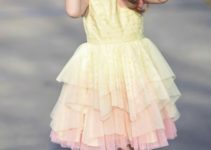 Get ready to romp! 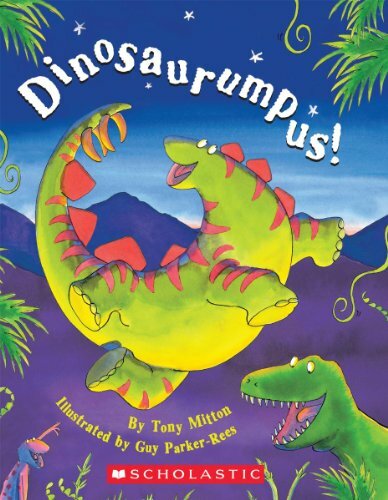 The whimsical illustrations and the catchy beat will have your kids begging to join the Dinosaurumpus again and again. 45. 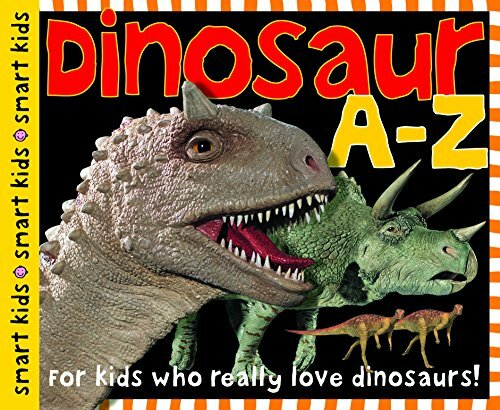 Dinosaur A-Z: For kids who really love dinosaurs! This colorful book features 26 models from Allosaurus to Zephyrosaurus, specially commissioned from experts in the field. Your child will enjoy learning fun facts and figures about these large, extinct creatures. Three children discover a magical bag of chalk on a rainy day. In this wordless picture book, your children will be able to tell the story as they see it. There’s so much value in wordless picture books that speech language pathologists use them for assessment and treatment purposes. Have your children ever wondered what dinosaurs did for fun? 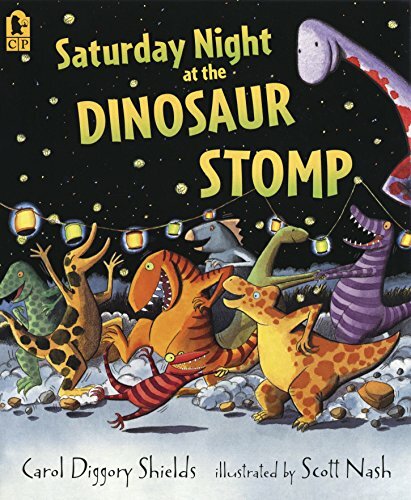 Find out just what it is dinosaurs did on a Saturday night in this fun, rhyming picture book. 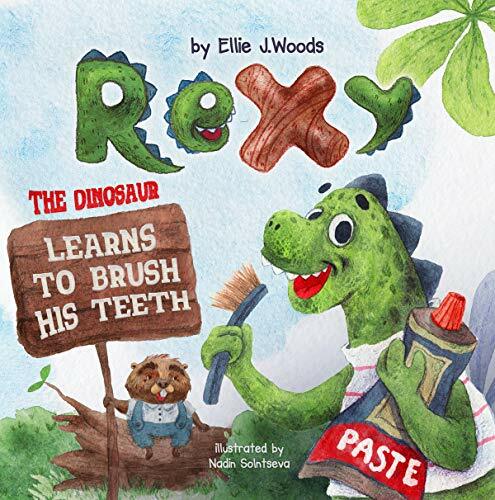 This book is bursting with fun facts and age appropriate non-fiction information. Each spread features a different dinosaur, along with simple text in big type that is perfect for little kids. 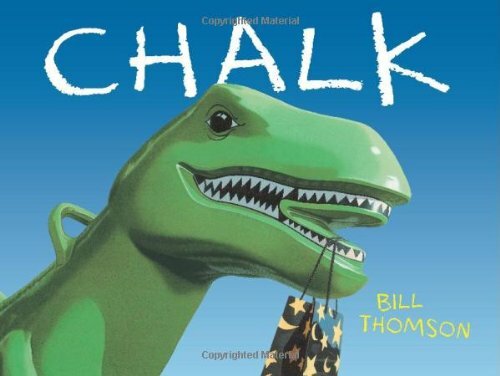 Are there other dinosaur books for preschool aged kids you recommend? 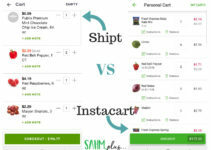 Guess Which Grocery Delivery Service I Think Is The Best?